Here’s a description of the trick. 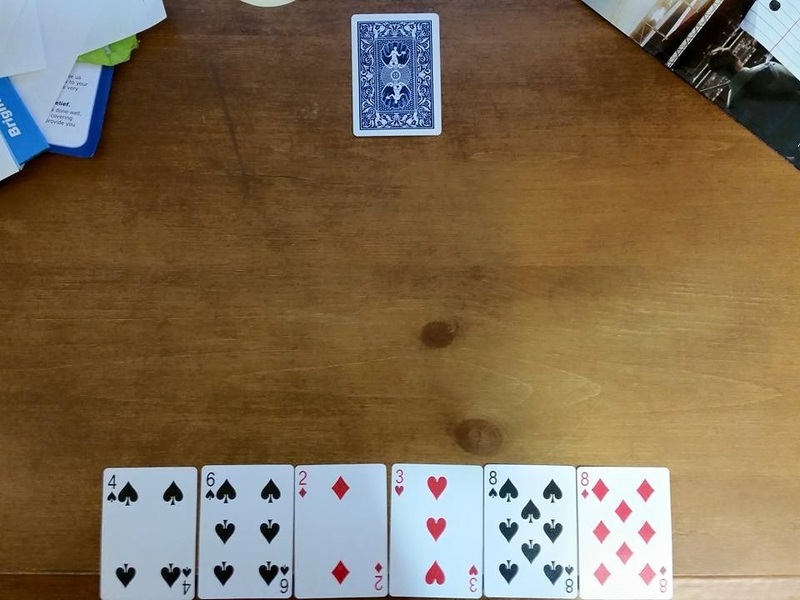 I give my audience a deck of cards and ask them to select six cards between ace and nine (in other words, no tens, jacks, queens, or kings). 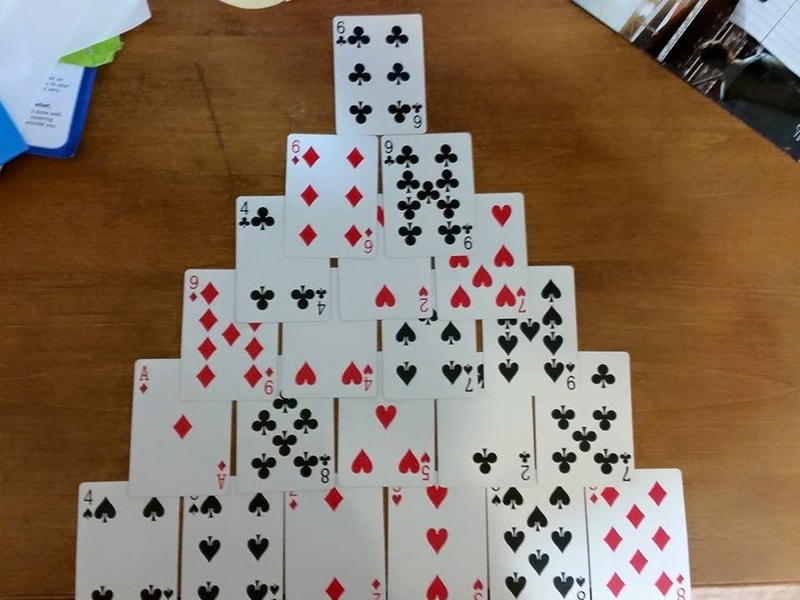 The card are placed face up, side by side. After about 5-10 seconds, I secretly write a pull out a card from the deck and place it face down above the others. I then announce that we’re going to some addition together… with the understanding that I’ll never write down a number larger than 9. 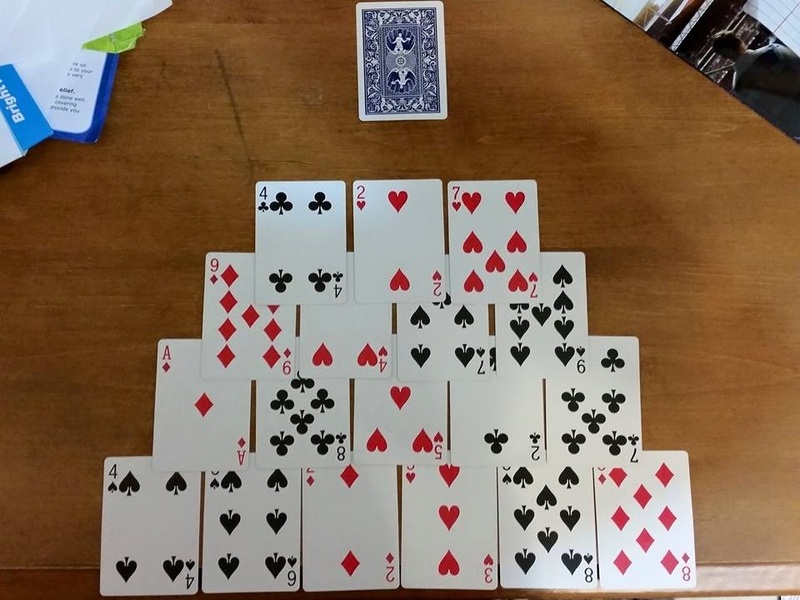 For example, the 4 and 6 of spades are next to each other. Obviously, , but my rule is that I’m going to write down a number larger than 9. So I’ll subtract 9 whenever necessary: . 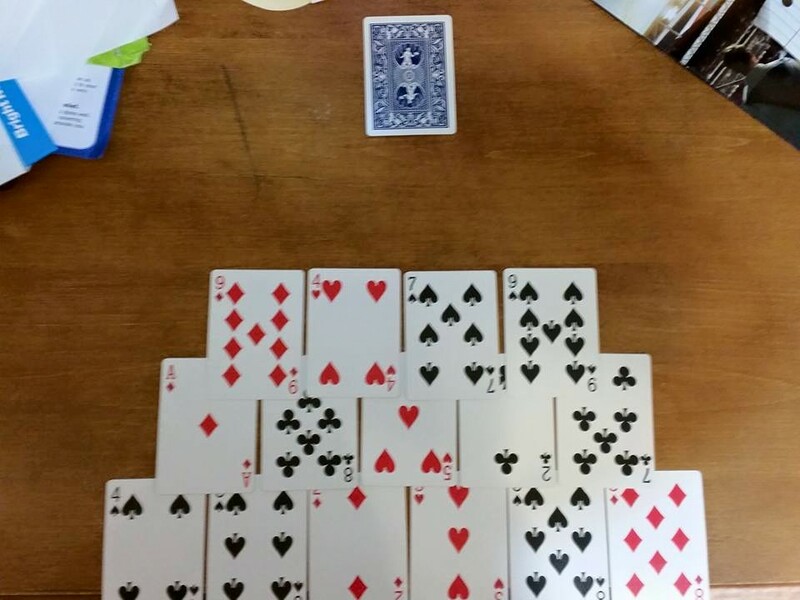 Since 1 corresponds to ace, I place an ace about the 4 and 6 of spades. 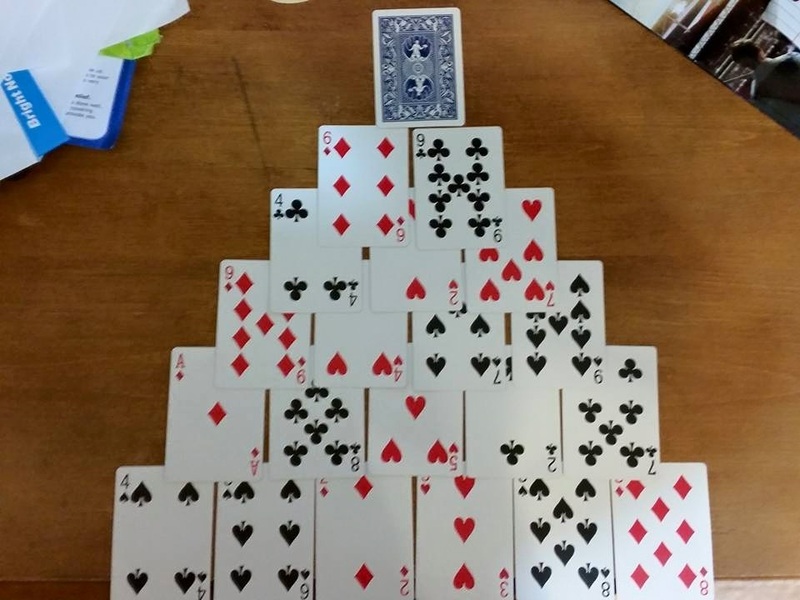 Next, I consider the 6 of spades and 2 of diamonds. Adding, I get 8. That’s less than 9, so I pull an 8 out of the deck. Next, , so I pull out a 5 from the deck. Next, , and . So I pull out a 7. On the the next row. The next cards are , , , and . On the the next row. The next cards are , $latex $4+7-9 = 2$, and . 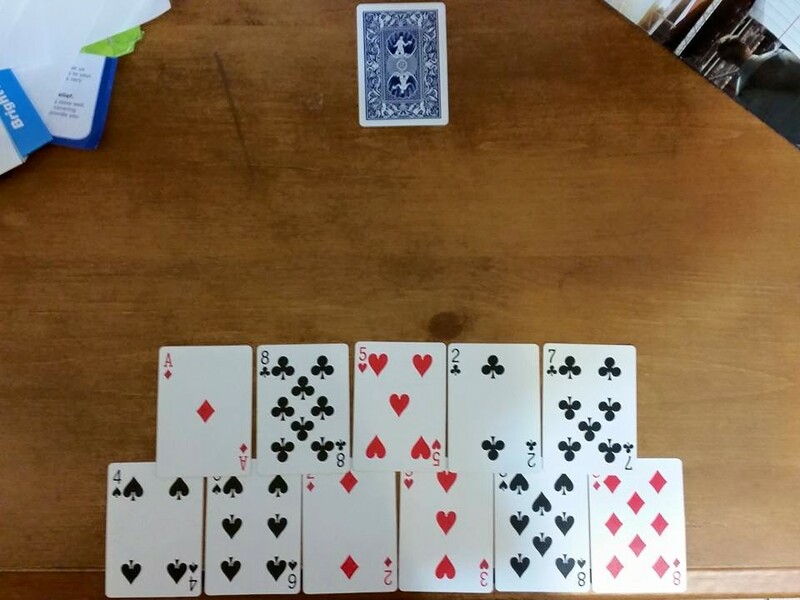 Finally, , and I dramatically turn over the last card to reveal a 6. Naturally, everyone wonders how I knew what the last card would be without first getting all of the cards in the middle. I’ll discuss this in tomorrow’s post.